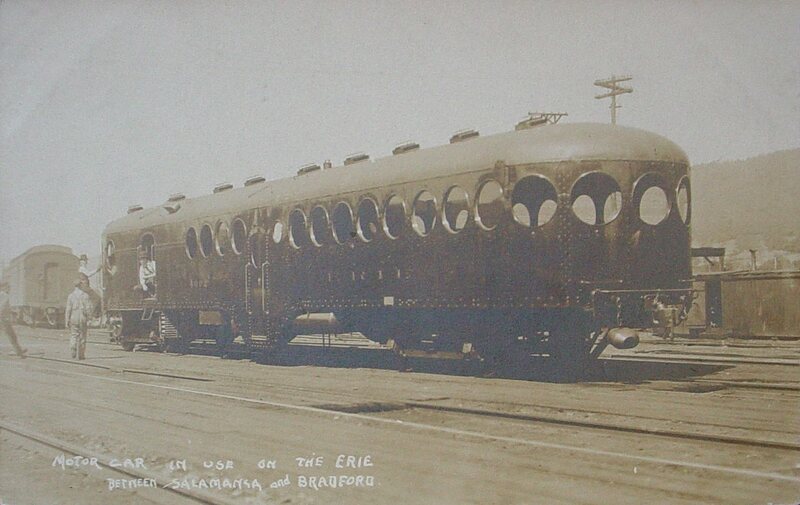 Erie Railroad | The McKeen Motor Car Website Erie Railroad | The Compendium of Knowledge on the McKeen Motor Car Company, and their experiments. This is an Artist’s rendering of the #4002, the first 70′ Motor car built by McKeen. This painting is not perfectly accurate, but it is a nice representation of the car. McKeen Motor Car #4002 on the Erie R.R.